Heat oven to 350ºF. Place cereal and almonds in ungreased 13x9-inch pan. Bake 6 to 10 minutes, stirring occasionally, until light brown. Cool about 5 minutes. 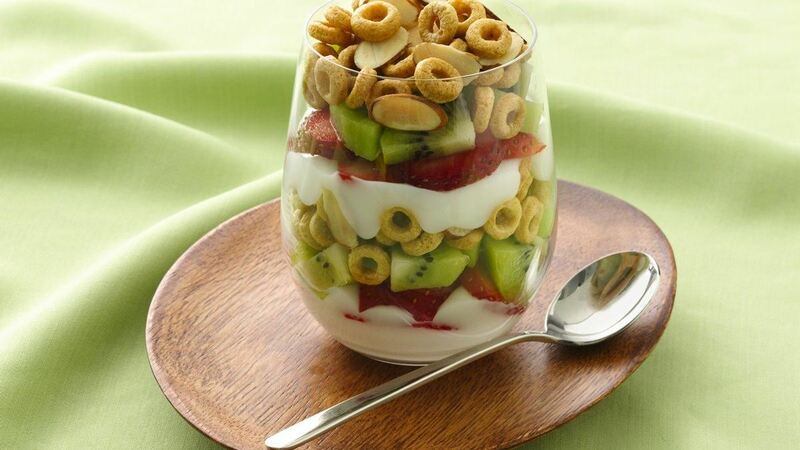 In each of 4 parfait glasses, alternate layers of yogurt, strawberries, kiwifruit and toasted cereal and almond mixture. Serve immediately. Variation: Make them your way with your choice of fruit and yogurt flavor.